This Songbook is dedicated to the concept that songs can help give strength to local groups and add to that culture of unity that is so important for recovery and prosperity. We also view these songs as treasures-There are here to be learned and enjoyed. We have just published a groundbreaking new work-Both an introduction to the music and a theoretical study-Essential reading for anyone interested in the music of the region. During the last many decades ye even centuries!, so great has been the progress of education amongst the humbler classes of society, that many of those eccentricities so often seized upon by our local poets as subjects of humorous satire, are fast disappearing, and ere many more years shall have elapsed, the Songs of our Local Bards will be the only memorials of the peculiar characteristics of this ancient border town. Should an occasional coarseness of language meet the eye, let not the fastidious reader forget, that such were the modes of expression used by the parties described, and that elegance of language would be as much out of place as are the polished classical sentences of Shenstone' s rustics, so often and so justly a theme of censure .-Adapted from the Newcastle Song Book or Tyne-Side Songster, W.& T. Fordyce, Newcastle Upon Tyne. "Weel may the keel Row! Weel may the keel row that my laddie's in. Oh, wha's like my Johnnie, sae leish, sae blighe, sae bonny? He's foremost 'mang the mony Keel lads o' coaly Tyne. He'll cut and shuffle sightly; 'tis true - were he not mine. And weel may the keel row that my laddie's in. He's fitter for a merchant, than a man-o'O-war's blade. Weel may the keel row, &c.
The Bishoprick Garland, London, Nichols and Baldwin and Cradock, 1834, Graham, 1969. -Source for 1st three verses: A Beuk o' Newcassel Sangs. 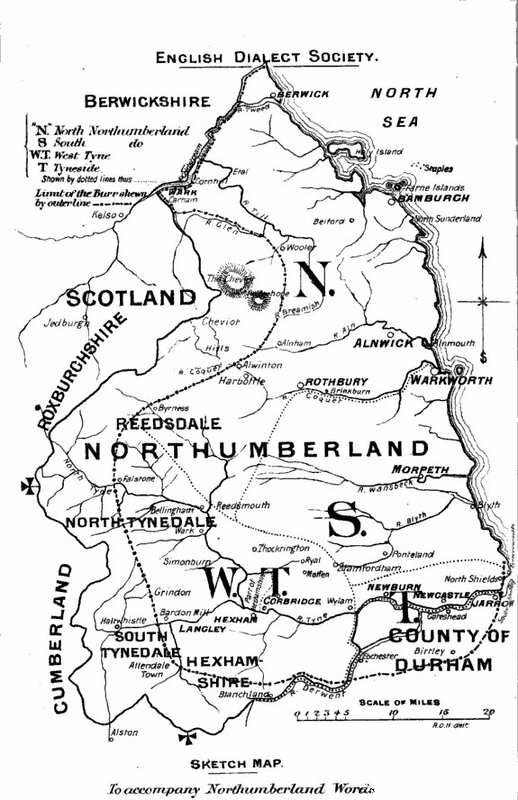 In Allan the source is cited as Ritson's "Northumberland Garland," 1793. "Correct version" as opposed to the "Street Version"
Weel may th' keel row that maw lad's in! And 'weel may th' keel row, th' keel row, th' keel row. an' weel may th' keel row that may lad's in! 'Tis true--were he not mine. The white o' Johhny's ee. And gar'd them shab away. Scrimp meals, caff beds, and dairns. to, or imitations of, the famous fragment, "The Keel Row." To the old tune". The author is listed as Thomas Thompson. Weel may the keel row, that gets athe bairns their breed. And shipp'd wor coals abroad. When young we uphaud them. One mornen wen aw went ta wark, th'seet wis most exsiten. Aw ard a noise en luckt aroond, en we de ye think wis fiten? For aw nivor seed e row like that between th' Brockwil caiges. To let th' see wethor too or me is th' best invenshin." Th' blud wis runnen doon th' skeets an past th' weimin's cabin. But if aw'd been is young is thoo, aw's certain aw cud pae thee." Th' patent knockt hees ankel off, en th' buaith ad cutten fuaices. Th' shifters rapt three for te ride, so th' buaith went te thor plaices. For te tuaik wor audin's life if thae stopt it meeten. Rub thee ies eguain th' skeets -aw think too's ardly wakinit." Aw kin work me wark is weel is thoo, an free th' men freh daingor. Thoo'll see me clag on te th' skeets, for aw's full e springs en catches." Becaws thi'v polished thoo we paint, but thoo'l not last for ivor. Th' nivor painted me at aal, en still aw've deun my deuty." Thae fit frae five o'clock te six, en th' paitint won th' battle. It teuk th' braiksmin half e shift te clag thim up wi plaistors. Wor aud caige sent hees noatece in, but just te vex th' maistors. England. The song was set to a traditional melody, used earlier by Alexander Rodger for Robin Tamson's Smiddy. the North York Militia, The "Green Cuffs", the 23rd Ulster Dragoons. From:"A Song Sung in Newcastle in the year 1792-3-4" Newcastle Songster., J. Marshall, Old Flesh Market, Newcastle upon Tyne., c.1812. Note that the famous arranger Topliff (yes correct is without the e at the end...) was cited in later collections. Holborn ; London, C.1815 Selection of the most popular melodies of the Tyne and the Wear consisting of 24 original airs peculiar to the counties of Durham and Northumberland, three of which are harmonized with appropriate words, symphonies and accompaniments and the remainder variously arranged for the piano forte. Repectfully inscribed ... by ... Robert Topliff. The original words given at the end. Where have ye been all the day, Billy Boy, Billy Boy? Where have ye been all the day, me Billy Boy? With me charming Nancy Grey. Oh me charming Billy Boy. Is she fit to be your wife, Billy Boy, Billy Boy? Is she fit to be your wife, me Billy Boy? Can she cook a bit o' steak, Billy Boy, Billy Boy? Can she cook a bit o' steak, me Billy Boy? Aye, and make a girdle cake. Can she make an Irish stew, Billy Boy, Billy Boy? Can she make an Irish stew, me Billy Boy? Aye, and 'Singin' Hinnies' too. thou shalt hev a fishy when the boat comes in. drunk - he cannat stand. will like't as well as I.
thou shalt hev a Mackerel when the boat comes in. that brings the bairns tha breed. thou shalt hev a Salmon when the boat comes in. as Watson and source: Fordyce's "Newcastle song Book," 1842"
Keep your feet still Geordie Hinny! Myed him wakin up to roar instead o' snore. For aw maynit be se happy throo the day. An' dinnet send maw bonny dreams away!" That's mair than aw dor ivor de before. If aw'd slept it's hard to tell what aw wad deun. Aw thowt aw set her hyem that neet, content we went alang. Aw cud wlak'd a thoosind miles wi' Mary there! When yor clumsy feet completely spoil'd the rest." All rise for the National Anthem of Geordie Land! For midi sound click here. Eighteen hundred on sixty-two on a summer's efternoon. I tyuk the bus fra Balmbra's an' she was heavy laden. Away we went along Collingwood street that's on the road to Blaydon. Gawn alang the Scotswood Road To see the Blaydon Races. Just gannin doon te the railway bridge the bus wheel flew off there. Aw danced a jig an' swung me twig the day I went to Blaydon. To gan an' see Geordy Ridley's show in the Mechanics Hall at Blaydon. 'Coffy Johnny' had a white hat on-they war shootin' "Whe stole the cuddy"
Thomas and George Allan, NewcastleUpon Tyne, 1891. With the Note: Ridley (Geordie) Author's Manuscript 1862. -The Whisky Priests have used this tune for their song "The Car-Boot Sale"
2. We flew past Airmstrang's factory, and up to the "Robin Adair,"
Just gannin doon te the railway bridge, the 'bus wheel flew off there. They called on me to sing a sang, aw sung them "Paddy Fagan,"
Coffy Johnny had a white hat on—they war shootin' "Whe stole the cuddy." An' a chep wiv a happeny roond aboot shootin' "Now, me boys, for riders." Where is Newcastle upon Tyne? Just clickit right here!